Olivi is the founder of two NGOs and has been a Rocinha resident for almost twenty years; this talk is part of the AmSoc Speaker Series, hosted by the American Society of Rio de Janeiro. 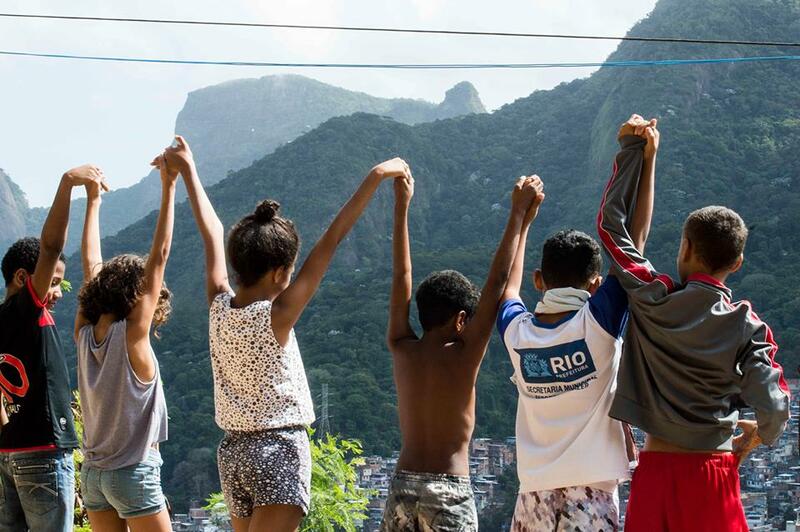 RIO DE JANEIRO, BRAZIL – This Tuesday, March 19th, the American Society of Rio de Janeiro will be hosting a talk by Barbara Olivi, entitled ‘Fellinian Tales of Life in Rocinha as told by one of its Italian Residents.’ Olivi is the founder of two NGOs: ‘Il Sorriso dei miei bimbi’ (the Smile of my Children) in Italy, and ‘Amigos da Vida’ (Friends of Life) in Brazil. She has been living in Rocinha since 2001, where she runs her Brazilian NGO. Barbara Olivi’s NGO Amigos da Vida helps assist residents with their educational and professional needs, and they recently set up the first the first literary café in Rocinha (the Garagem das Letras), a coffee library, internet point, and place of social inclusion, photo internet reproduction. Olivi is going to be presenting her talk in the style of beloved Italian film director Federico Fellini, with tales from the daily lives of Rocinha’s residents. She is keen to talk about the dignity, resilience and spirit of this community, instead of just focusing on the negative aspects that the media so commonly portrays, such as the crime, drug gangs and precarious nature of life there. Arriving in Rio de Janeiro over twenty years ago, Olivi fell in love with the street children of Rocinha, and in 2001, she put together a non-profit organization in the favela community, Amigos da Vida, which continues to help members of the community through educational projects. For anyone interested in donating or volunteering, the charity’s website can be found here. When: Tuesday, March 19th, 7PM. Entrance: R$10 for AmSoc members, R$20 for non-members. Correction: This article has been updated on March 19th to display a last-minute change of address.